"Special Mention, Best CD's of 2008" -Paddy Rock Radio A perfect mix of traditional and contemporary Irish and celtic music with a full sound that includes accordion, mandolin, whistle, guitar, vocals and more. A 2-piece Irish group that has been performing in and around Minnesota since July 2007. Featuring Michael Sturm on guitar, mandolin & vocals, and Hannah Rediske on piano accordion and penny whistle. The Langer’s Ball performs a wide variety of Traditional and contemporary Irish songs and tunes. Since they began performing just over a year ago, they have already played over 85 shows at various locations; they have opened for Toronto based “Enter The Haggis”, and have been booked for the Iowa Irish Fest and The Minnesota Irish Fair. 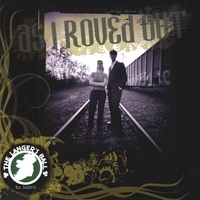 \"As I Roved Out\", the debut CD for The Langer’s Ball was released in July 2008. It is nearly an hour of Irish traditional and contemporary music arranged by the band. Although The Langer\'s Ball is a duo, the CD features full arrangements with all the instruments being played by Hannah & Michael. From the fun, upbeat \"Galway Girl\" with bright mandolin and pumping accordion, to the beautiful and lamenting \"And The Band Played Waltzing Matilda\" with soft oboe and thoughtful lyrics, \"As I Roved Out\" is the full package.